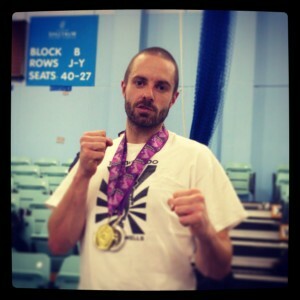 Tunbridge Wells Taekwon-Do instructor Luke Thompson is UK champion. After recently returning from the World Taekwon-Do championships in Spain with two medals Luke has kept up the momentum by winning gold in the heavy weight sparring and silver in patterns. This completes a successful year for the instructor who was selected to represent England at the European and World Championships earlier. Now attentions turn towards the Tunbridge Wells students who have a grading to prepare for in December and then a local tournament in the new year. This entry was posted in Uncategorized on 11/11/2013 by Mr T.